A clear sky. Low 54F. Winds SSE at 5 to 10 mph..
A clear sky. Low 54F. Winds SSE at 5 to 10 mph. 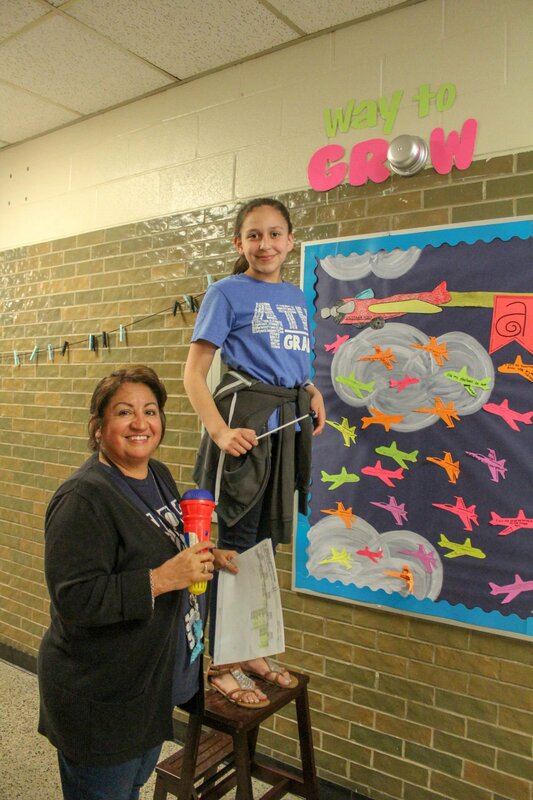 Celebrating student growth throughout the year became a cause to climb to new heights at Justiss Elementary School —that is, climbing up to ring the Silver Growth Bell. Students showing growth on their writing got to ring the bell and reach for a special growth prize bag. Fourth-grade writing teacher Noemi Plata congratulates the fourth graders who showed growth in writing and encouraged others to work hard and ring that bell next time. 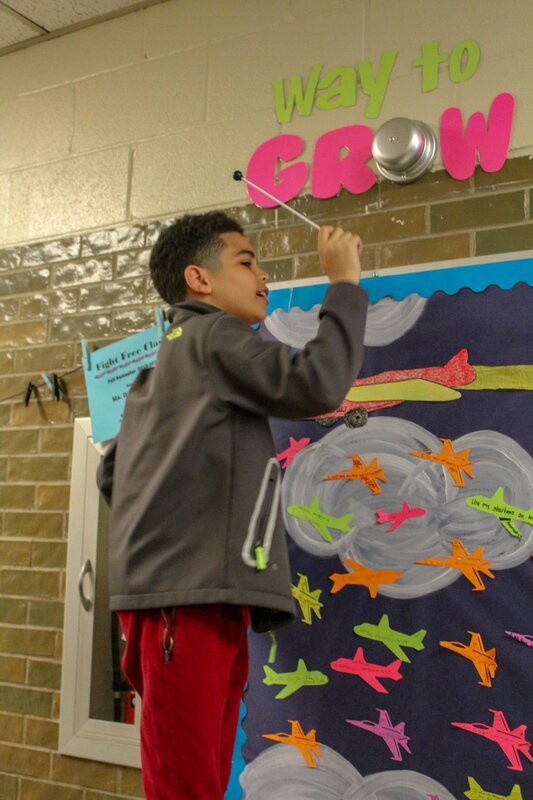 Fourth-grader Kai Furtch rings the Growth Bell for showing growth in writing at Justiss Elementary. Farrah Rhodes and Zatarona Washington are excited to receive their prize bags for showing growth.